£28.95 More info & buy	Intense and slightly tart, the flavour starts sweetly and finishes like old fashioned cherry drop sweets. Just as you begin to think this gin is simply sweet a wonderful freshness cuts in and cleans the palate ready for another sip. 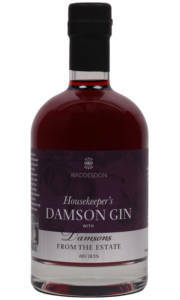 Only 300 bottles of this Damson Gin are produced annually. This fantastic tipple is as wonderful as it is versatile; serve neat for the ultimate winter warmer, top up with Champagne to make a 'Damn Shame' or alternatively serve neat and cold with summer pudding.